"Best Wedding DJ in Maryland!" 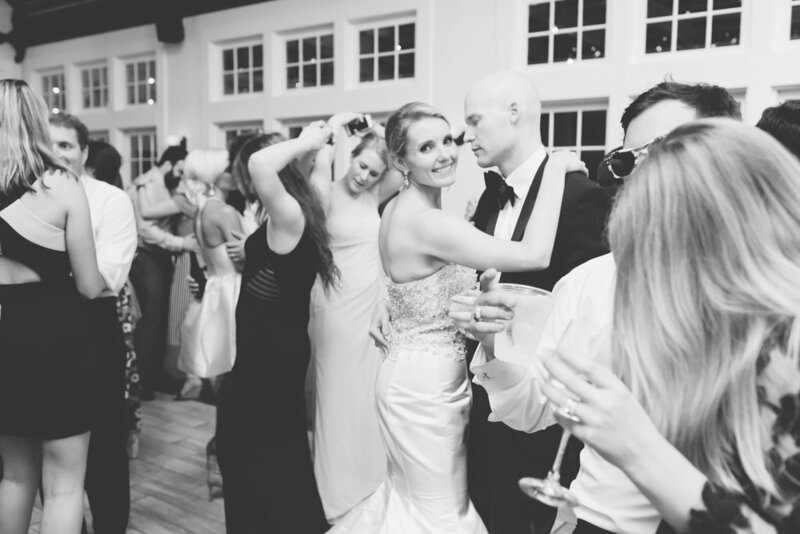 At Bay Deejays, we take your wedding inspiration and unique personality, mix in our skill and entertainment experience, and create an evening for you and your guests that can only be described as "amazing!" We're a different type of DJ company, we specialize in one thing and one thing only... 100% perfect weddings. There are no "do-overs" when it comes to your big day... choose Bay Deejays and rest easy knowing your DJ will work with you from start to finish to ensure your ceremony, cocktail hour, and reception will flow together seamlessly. At the end of the night, you'll be surrounded by friends and family on a dance floor that is still packed after hours of laughing, smiling, and dancing. Bay Deejays is classy, tactful, professional, experienced, educated, but most importantly... FUN... for all ages! So whether you're planning your wedding in the Baltimore-Annapolis-D.C. Metro area, or Maryland’s Eastern Shore (Stevensville, Queenstown, Easton and Cambridge area), we'd love to meet with you to discuss your entertainment options. Explore our site to learn more about us, and click the availability link, or call us at (443)242-4229 to get started. Wedding ideas, photos, and our vendor and venue recommendations based on two decades of service in the DMV area. Fueled by a passion for quality DJ entertainment and event planning... that's how Bay Deejays started. Ready to take the plunge? Let's sit down and discuss your wedding entertainment vision over drinks or coffee. Bay Deejays is proud to have been named Baltimore Maryland’s top wedding DJ 2010 - 2019!